Anyhow, I returned from Cancun happy and relaxed but also a few pounds heavier and feeling very lethargic from all the rich Mexican, Italian, and French Fare that I was feasting on. I am in need of a detox! 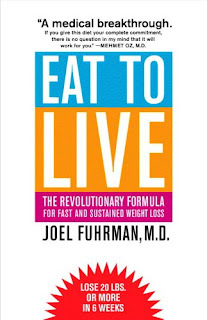 Prior to my departure, my co-worker Nicole had been RAVING about this book, Eat to Live. It looked interesting, discussed a lot about where our food comes from, and apparently promises immediate weight loss. So, for the next 4-6 weeks (depending on how much weight I lose/how good I feel) I am going on a detox and eating to live! The great thing about this book is that it emphasizes pretty common sense information - eat more vegetables. Greens and Fruits carry more nutrients for you. It also lays out logical things like 100 calories of Broccoli will make you feel much more full and satisfied than 100 calories of chocolate cake. 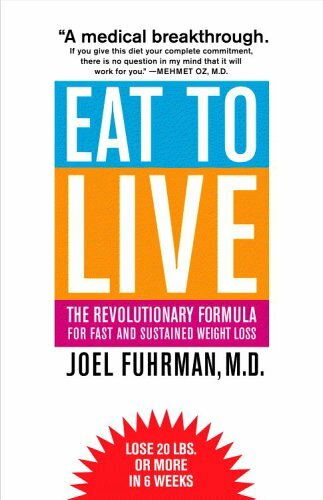 What inspires me with this book is that it talks a lot about health and future disease/cancer/obesity prevention. It promises you will have more energy eating to live and that's kind of EXACTLY what I need. When I got back from Cancun, I had to take two naps a day because of all the oh-so-yummy things I was putting into my mouth. So for the next six weeks, I have to try to eat at least 1 pound of vegetables or as much fruit/greens as I want. I need to stay away from anything processed which includes everything - breads, sweets, dairy, and the worst...CONDIMENTS AND SODIUM! *gulp* what am I supposed to eat without hot sauce or ketchup? 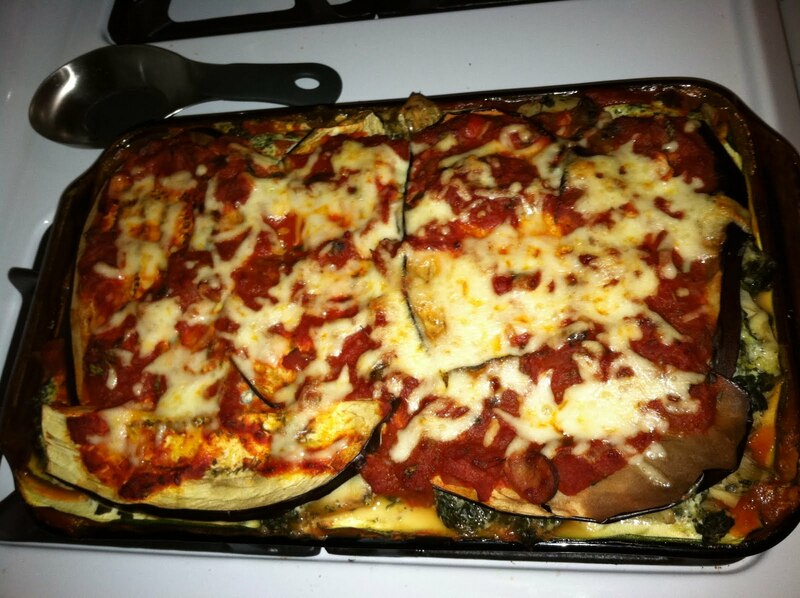 To make the noodles, I took 1 large eggplant and 2 medium sized zucchinis. 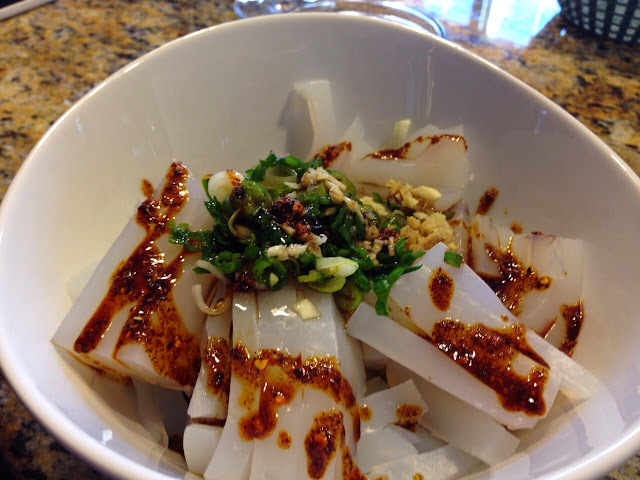 I cut each veggie into thin layers (anywhere between 1 cm to 1/4 inch). Then, I roasted the strips of veggies in the oven until they were malleable. I have some garlic olive oil in a spray bottle so I spritzed some of that on. While the noodles cooked, I took silky tofu (this is the SOFT SOFT kind) and pureed it in a food processor with 1/4 cup onions and fresh basil as my dairy free ricotta cheese. Set it Aside. 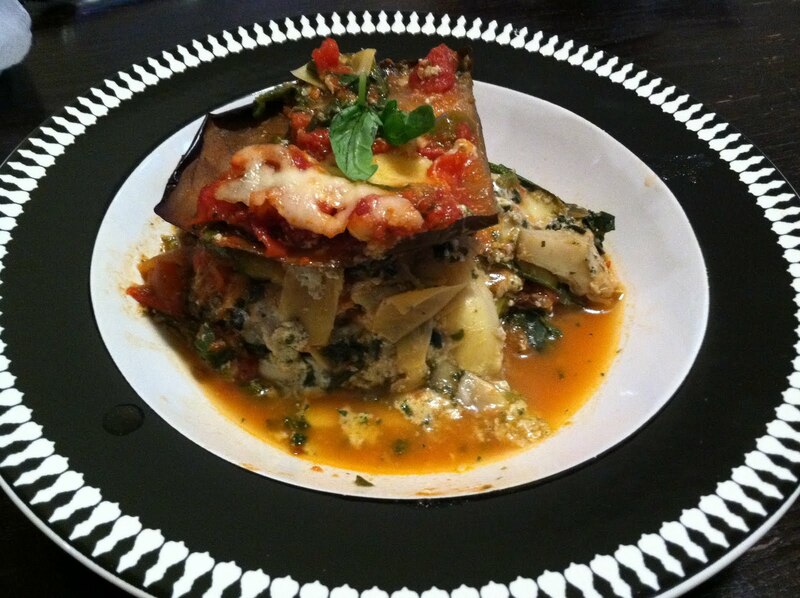 I than sauteed the frozen spinach and artichokes in a pan. Seasoned with just a dash of salt, Italian seasoning, and some red pepper flakes. For the sauce, I sauteed 1/2 cup of onions and some fresh garlic. Once it turned a little brown, I used half a bottle of Trader Joe's sauce (any kind will do) and added some low sodium diced tomatoes. The reason I made a mix of my tomato sauce is because I was going for the least amount of salt possible and didn't have any ready-made low sodium sauce. So, I mixed it and spread the salt around. At the top, I took the leftover Mozzarella (1/4 cup) and spread it around on top for a nice cheesey look. I gotta say I was pretty doubtful of this recipe and how much I would enjoy because typically I would put 4x the salt, not think about the sodium in my sauce, and add a TON of red pepper flakes. However, the natural flavors of the vegetables came out more and my taste buds were pretty satisfied. I now have veggie lasagna for the rest of the week! Hopefully this meal will be an inspiration for my 4/6 week detox...AHH, wish me luck!